Dry Fork Diesel & Auto LLC is the leading choice for Infiniti services and other diesel auto repairs. Our incredibly talented team of diesel auto mechanics are all highly trained and have years of experience in inspecting and performing quality services on Infinitis. Correctly repairing an Infiniti vehicle right the first time is what clients have come to expect at Dry Fork Diesel & Auto LLC. 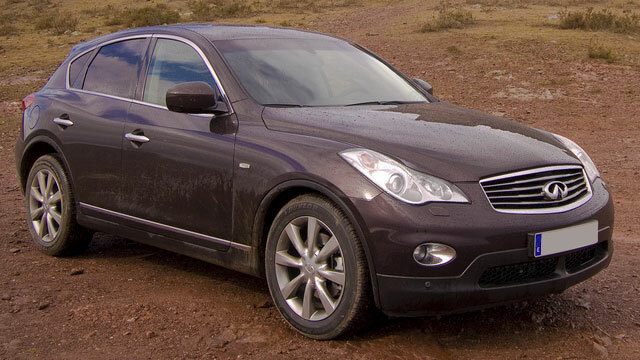 Don’t wait until you have a problem on the road to have your Infiniti looked at by professional diesel auto mechanics. Our highly-adept technicians are wonderful at diesel auto repairs because they genuinely love what they do. Dry Fork Diesel & Auto LLC takes great pride in our family business and has been thriving since we opened in 2013. Our diesel auto mechanics are always being trained on the most updated tools, scanning systems, and equipment in the always changing diesel auto repair industry. Visit us today and we can guarantee that your time with us will be honest, friendly, and anxiety-free. “This is a great place to take your vehicle. It's nice to find a place ran by honest people!” --Alicia M.
When diesel drivers in and around Carthage need Infinit services, they pick Dry Fork Diesel & Auto LLC. While our highly-skilled diesel auto mechanics service your vehicle, you can rest easy and trust that your diesel auto repairs are being handled by the most capable team. Customers in the region have made us their leading pick for helping with Infini services because we continue to prove that we are experienced experts. Contact us if you have any inquiries or schedule an appointment online. Dry Fork Diesel & Auto LLC. is located at 16740 CR 138 Carthage, MO 64836.